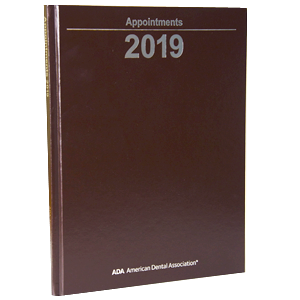 The hardbound appointment book features a 9x12 page in a single column format with schedules from 7am-9pm. Its rugged leather-grained vinyl stands up to constant use. The 2019 books are brown. Includes ADA phone numbers.